Male Member Of The Month : July 2018! Congratulations to Ric for this very much deserved recognition! Read all about Ric’s journey with us so far. M – How long have you been doing CrossFit? R – I completed my foundations course at the end of January of this year so just over half a year. M – What class time do you usually attend and why does that work for you? R – It depends… my work commitments change frequently throughout the year. I have attended the 6.30am classes through to the 7pm ones. I would say though that usually I am either a 5 or 6 o’ clocker. M – What is your why? Why do you put yourself through it each day? Do you have goals you want to achieve? R – The thing that I love about CrossFit is how varied it is, there are so many skills and areas to develop. Since starting I have seen huge improvements in things I could never have imagined being able to complete 6 months ago, such as double unders or a handstand push ups. I’m a big fan of logging each work out on my phone. This allows me to monitor my progress over time. I think that seeing regular small steps of improvement across all of these different areas is my “why”. Each small step of improvement adds up. When I go through my phone and review where I was when I started I find this really motivating, and rather surprising! I have a few goals that I am aspiring towards. Firstly I would like to improve my form with all of my lifts. Also there are some lifts that I have still not yet tried yet, such as the split jerk. So learning that is also on my list. Secondly I have a number of goals that link the lift of my weight with my own body weight e.g. back squat 1.25 x bodyweight. I am slowly closing in on these but have quite a few months left to go before I meet them. M – What advice would you give anyone wanting to start CrossFit but is either unsure or nervous? We get people all the time saying they need to get fit first or they could never do what we do? Any advice for those people? R – Just give it ago! When I started CrossFit I had not been involved in sport for a number of years and had never picked up a barbell in my life. This made me feel a little unsure and nervous also. However, MSquared has been a fantastic environment to develop my fitness and new skills in. Everyone so supportive and helpful, it is like no gym I have ever been to before! The only way to get “fit” or “do what we do” is by doing. So come on down and give it a go. 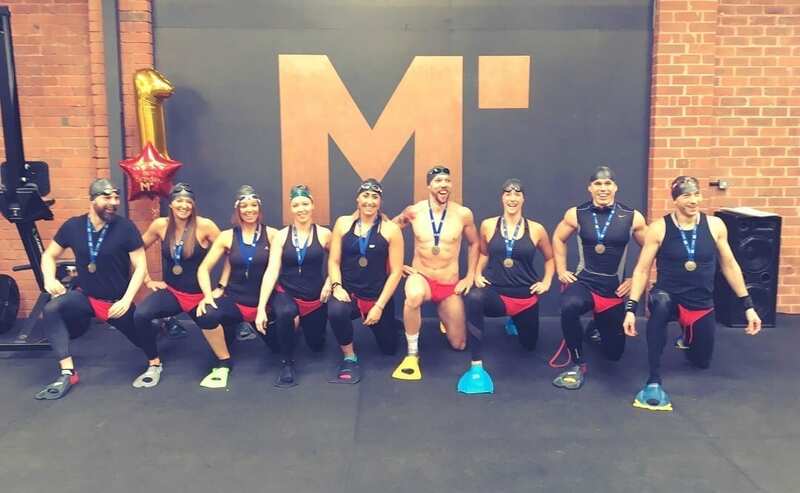 M – What is your biggest achievement so far in Crossfit and what are you most proud of? R – I would say my biggest achievement so far is the improvement in my gymnastics skills. Before starting CrossFit I couldn’t complete a single pull up, but now I can link strict pull ups together, complete kipping pulls and even complete a single muscle up! In addition to this I can now consistently complete classes at the C scaling. This was a goal I had set myself when I first started. Thanks Ric. Not only can you do pulls ups but we use you as a demo as they are so technically perfect! 🙂 Amazing progress. Looking forward to seeing what you have planned for your MOTM WOD! 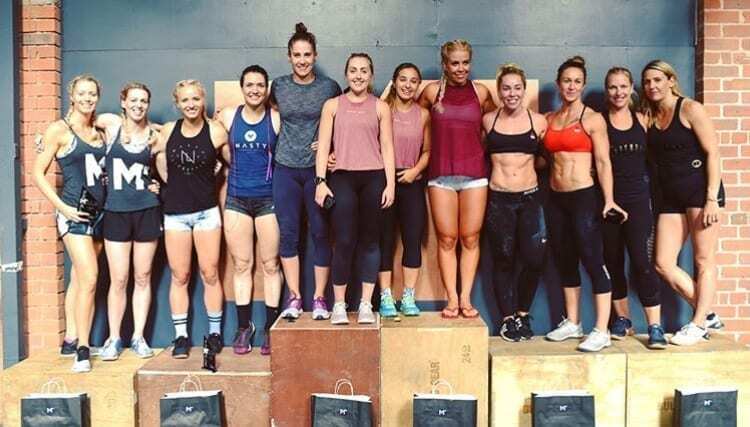 CrossFit Competitions aren’t just for the elite you know!